UPDATED: Wed., June 20, 2018, 4 p.m.
NEW YORK – Jimmy Fallon is opening up about the personal anguish he felt following the backlash to his now-infamous hair mussing appearance with Donald Trump. The host of “The Tonight Show” told the Hollywood Reporter he “made a mistake” and apologized “if I made anyone mad.” He adds that he “would do it differently” looking back on the Sept. 15, 2016, episode. 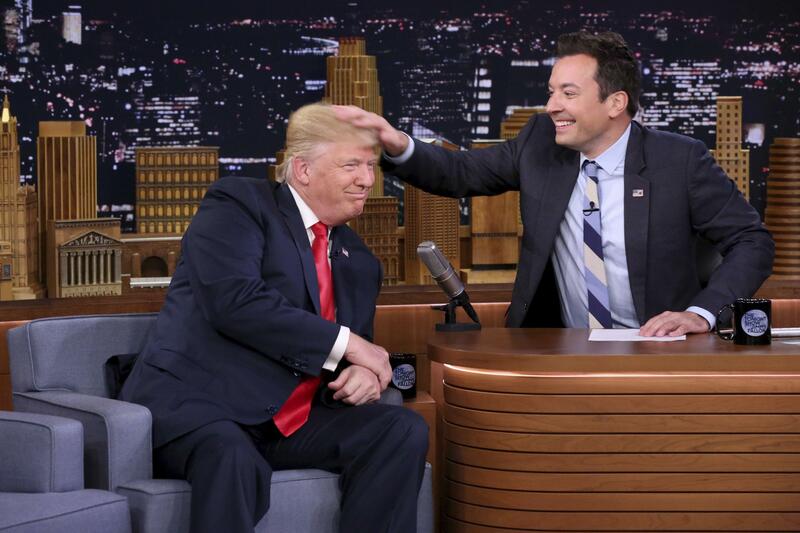 Trump opponents criticized Fallon for a cringeworthy interview only weeks before the election where Fallon playfully stroked Trump’s hair. Fallon’s show eventually lost more than one-fifth of its audience and its late-night crown to Stephen Colbert’s new and more political “The Late Show” for CBS. Published: June 20, 2018, 3:58 p.m. Updated: June 20, 2018, 4 p.m.